A beautiful mushroom I found in the forest the other day. The ground was almost covered with mushrooms of all different kinds. This mushroom reminds me of one of my favourite stories as a child. It was called "The Busy Day." 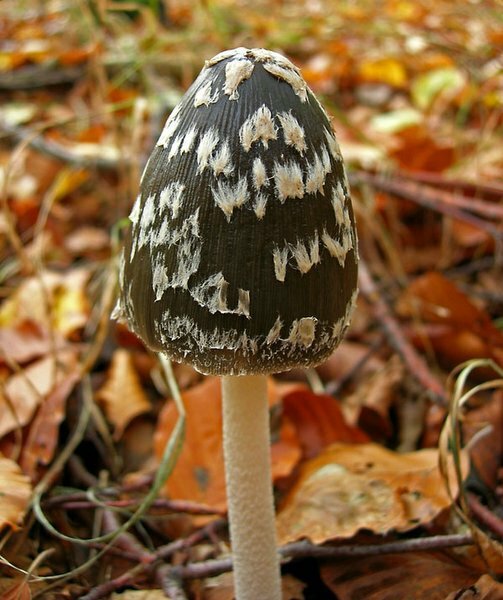 A family of mice used to use mushrooms like umbrellas. This is a great close up. Very nice focus. I love how photos remind me of things I had long forgotten! Thanks Ana and Gustav. One of the myriad gifts of photo-taking is what it evokes in others, not just ourselves, don't you think? Great shot.